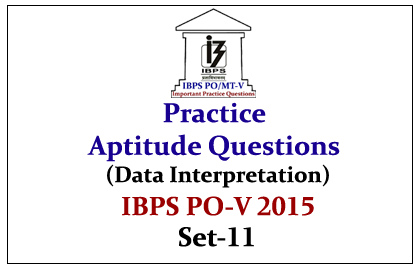 Dear Reader, Practice Aptitude Questions from Data Interpretations was given here with explanation, candidates those who need practice in this topic can use it. 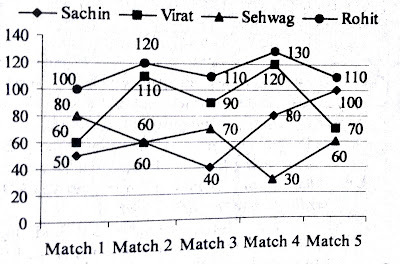 Directions (1-10): The following line graph shows the batting performance of four batsmen in a five-one day tournament. 1).Which two one-dayers saw the same batting average? 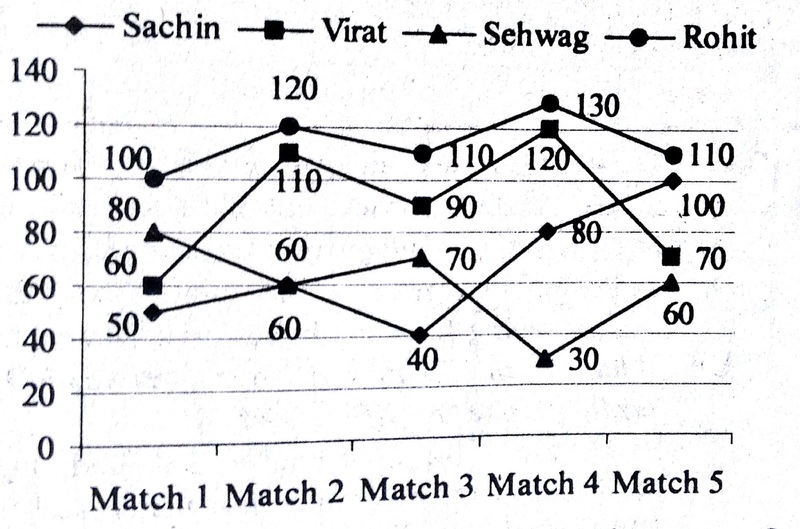 2).What is the difference between Virat’s and Sehwag’s batting average for the tournament? 3).In how many matches was Virat the third highest scorer amongst the four batsmen? 4).To equal Rohit’s five-match average, how many runs should Virat have scored in the last match? 5).What is the difference between Rohit’s and Sehwag’s average scores for all the innings? Directions (6-10): Read the table and bar graph carefully to answer the givenquestions. 6).Which year showed the lowest rate of the rupee against the dollar? 7).The total import in 2013 and 2014 together is what per cent more than the total export in that year? 8).For how many years was the rate of the rupee against the dollar higher than the average rate for the entire period? 9).Which year saw the maximum devaluation of the rupee with respect to the dollar in absolute terms? 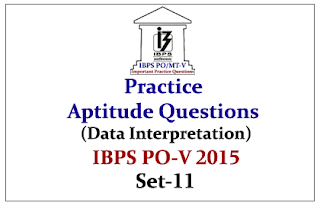 10).Which of the following statements is/are true? 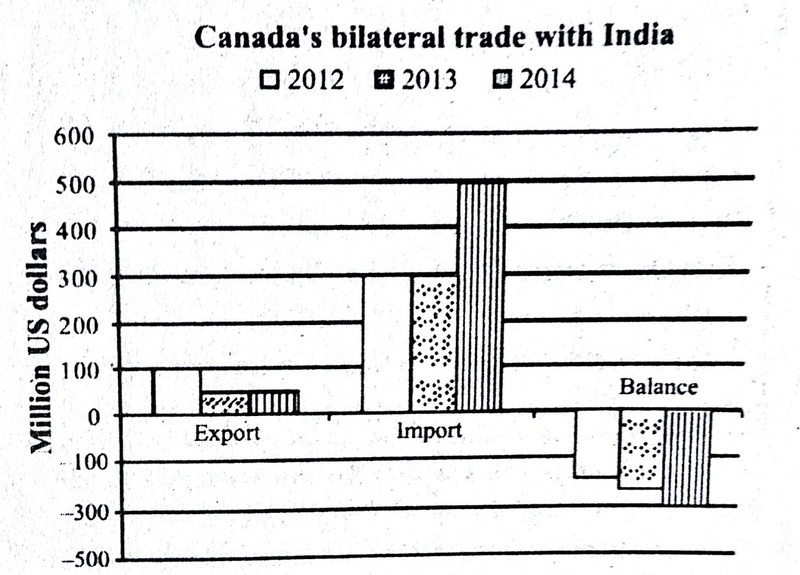 (A) Canadian investment approval by the GOI rose consistently throughout the decade. 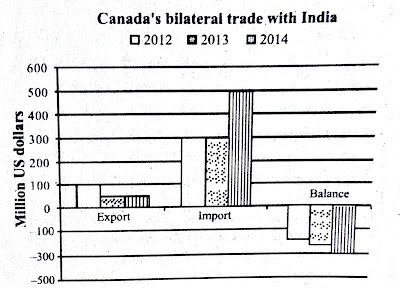 (B) Canadian investment approval by the GOI was irregular in the early 2000s and rose regularly after 2006. 8).The higher rate of rupee against dollar means lesser rupee per dollar. 9).Find the rupee to dollar value for each year and look for the highest number. This was in 2014.